We appreciate your interest in the profession of Deputy Sheriff. We strongly recommend that you find out as much as you can about the Napa County Sheriff's Department and law enforcement in general on the County's website www.countyofnapa.org . Qualifications: 1. You must have a verifiable T-Score of 45 or higher that has been issued no earlier than April, 2018*. If you are in process of acquiring a verifiable T-Score of 45.0 or higher on the P.O.S.T. Pellet-B examination, your T-Score must be provided to Human Resources no later than the oral panel interview. Below are three locations that have upcoming P.O.S.T. Pellet-B testing: Napa Valley Police Academy Sacramento County Sheriff's Office The Academy South Bay Regional Public Safety Training It is the applicant's responsibility to contact the agency, take the test, and provide the qualifying T-Score results to Human Resources within the required time frame. 2. You must be an United States citizen or permanent resident (or in the application process) at the time of application. 3. You must be at least 20 1/2 years of age at the time of your application submission . 4. You must have a valid California driver's license. If you are an out-of-state applicant, you must possess a valid driver's license for the state in which you reside, but must be able to successfully obtain a California driver's license. *Please Note: In order to be considered, applicants MUST have a verifiable T-Score of 45.0 or higher on the P.O.S.T. Pellet-B examination with the results to Human Resources no later than the oral panel interview. Applicants without a verifiable T-Score of 45.0 or higher at the time of the oral panel interview process, will not be able to take part in the oral interview. Physical Agility Test (PAT) scores from other agencies are not accepted. Additional Pay Incentives HIRING BONUS : Newly hired Deputy Sheriff Trainee will receive $5,000. $1000 of the hiring bonus will be paid in the second pay period of employment. The remaining $4000 bonus will be paid upon successful completion of probationary period. LOAN FORGIVENESS PROGRAM : Applicants who attended and received a degree (Associate's or Bachelor's) consisting of a minimum of 60 credits/units at a regionally accredited school by the Council of Regional Accrediting Commissions are eligible to receive a payment up to $20,000 (or $30,000 if certified bilingual by Napa County) towards student loan(s). Loans must be existing loans, which the employee can prove they held as of their hire date and was borrowed while attending the accredited institution during the time the degree was earned. All payments will be made directly to the student loan lender once appropriate verifications have been made. In order to be eligible for this loan forgiveness, the employee must have completed five (5) years of satisfactory service with Napa County, without a break in service. EMPLOYEE REFERRAL BONUS : County employees who refer a candidate for Deputy Sheriff Trainee will receive a recruitment bonus of $750 upon the successful completion of a one year probationary period. Employee's names must be listed on the candidate's application prior to submission. EDUCATIONAL REIMBURSEMENT : County employees are eligible for reimbursement up to $300 per fiscal year for tuition and books upon successful completion of County approved college or university courses or other courses directly related to the candidate's job duties. BILINGUAL PAY: For bilingual speaking skills, Deputy Sheriff Trainees are eligible to receive $60 for Level I and $80 for Level II, per pay period, upon the recommendation of the hiring manager. RECRUITMENT PROCESS: 1. Final application submission is Friday, April 26, 2019 at 5:00 PM 2. Application review for minimum qualifications will take place the week of April 29, 2019. 3. Applicants who meet the minimum qualifications must attend the mandatory, in-person Information Session and Physical Agility Test (PAT) tentatively scheduled for Saturday, May 4, 2019. Applicants who meet the minimum qualifications will receive an email invitation to sign up for the Information Session and PAT during the week of April 29, 2019. 4. The mandatory, in-person Information Session tentatively scheduled for Saturday, May 4, 2019, will consist of a detailed discussion about the Deputy Sheriff Trainee position and the completion of a pre-background questionnaire. 5. The Physical Agility Test (PAT) will take place on Saturday, May 4, 2019, immediately after the information session. The Physical Agility Test (PAT) will consist of the following: - 30-foot dummy drag - 500-yard run - 6-foot solid wall climb You may bring a change of gym clothes with you for the PAT portion of the session, but business attire is expected for the Information Session. 6. Applicants who successfully complete the Informational Session (including the pre-background questionnaire) and the Physical Agility Test, will be invited to participate in the Oral Panel Interviews. Candidates must have a verifiable T-Score of 45.0 or higher received by Human Resources by the time of their interview date in order to participate in Oral Panel Interviews. 7. Oral Panel Interviews (Oral Boards) are tentatively scheduled to take place during the week of May 20th, 2019. Human Resources reserve the right to make changes to the recruitment process or the timeline at any time. 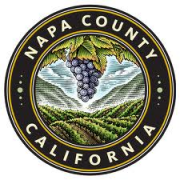 This recruitment is being conducted to fill one full-time vacancy in the County Counsel's Office of Napa County. The list established by this recruitment may be used to fill future full-time, part-time, limited term, and extra help vacancies for up to one year. Any candidates placed on a previous eligible list created for Legal Secretary in County Counsel must reapply for this recruitment for consideration. Legal Secretary I is the entry-level secretarial class in the County Counsel's Office and Legal Secretary II is the experienced, journey-level secretarial class. An incumbent in this class may be responsible for a defined set of administrative procedures in a specific area of law. Based on the qualifications of the applicant pool, the County Counsel's Office may choose to fill this position at either the Legal Secretary I or II level. Legal Secretary I $23.64 - $28.16 Hourly $1,891.20 - $2,252.80 Biweekly $4,097.60 - $4,881.07 Monthly $49,171.20 - $58,572.80 Annually Legal Secretary II $25.81 - $30.71 Hourly $2,064.80 - $2,456.80 Biweekly $4,473.73 - $5,323.07 Monthly $53,684.80 - $63,876.80 Annually *The Legal Secretary I / II - Confidential is a confidential classification and qualifies for confidential pay which is $300 per month. THE RECRUITMENT PROCESS 1. Applications are due by 5:00 P.M. on Friday, May 3, 2019. 2. Applications will be screened for minimum qualifications the week of May 6, 2019. 3. Candidates that meet the minimum qualifications will have their supplemental responses scored by subject matter experts the week of May 6, 2019. The most qualified applicants from the scoring of the supplemental questions will be invited for an Oral Panel Interview. 4. Oral Panel Interviews are tentatively scheduled to take place the week of May 20, 2019. Only the most qualified candidates from the interview process will be placed on the eligibility list and may be considered to fill positions for up to one year. The Human Resources Department reserves the right to change the recruitment process at any time.